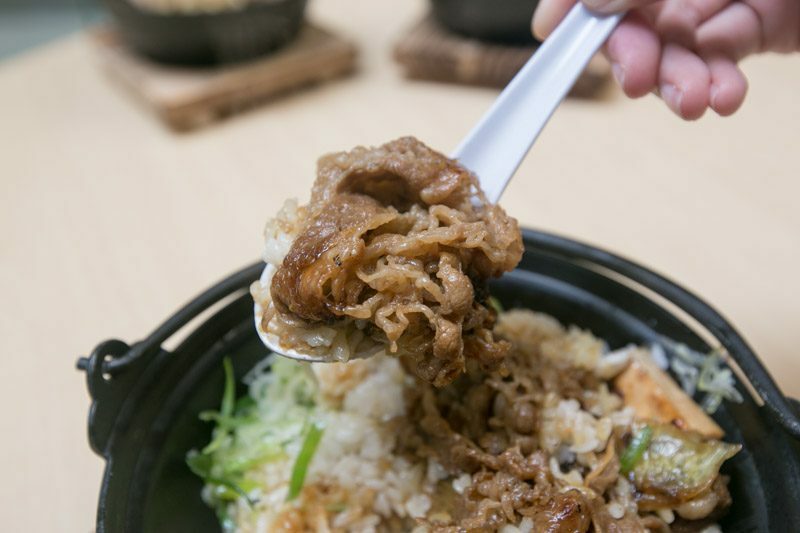 I’ve always loved the simplicity of Yoshinoya‘s delicious signature beef bowls, so I was pleasantly surprised to find out that it’s featuring several new dishes such as hot plates, sukiyaki, yaki-soba and yaki beef pots at its new 313 Somerset outlet. Just thinking about its beef bowl makes my mouth water. Tender beef slices and thinly-sliced sweet onions simmered in a special broth, and served on a mountain of fluffy white Japanese rice. Mmm! Now, imagine that being served to you on a sizzling hot plate. Can you say itadakimasu already? 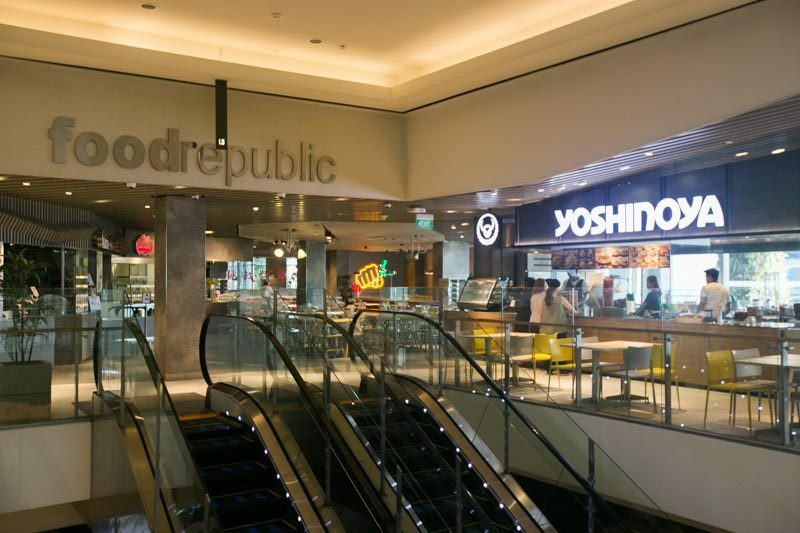 The new Yoshinoya outlet is located at the far end of Food Republic on 313 Somerset’s fifth floor, but if you’re taking the escalator up, take the one that’s nearer to ZARA or The Editor’s Market. It’ll lead you right up to Yoshinoya, which will be on your right. 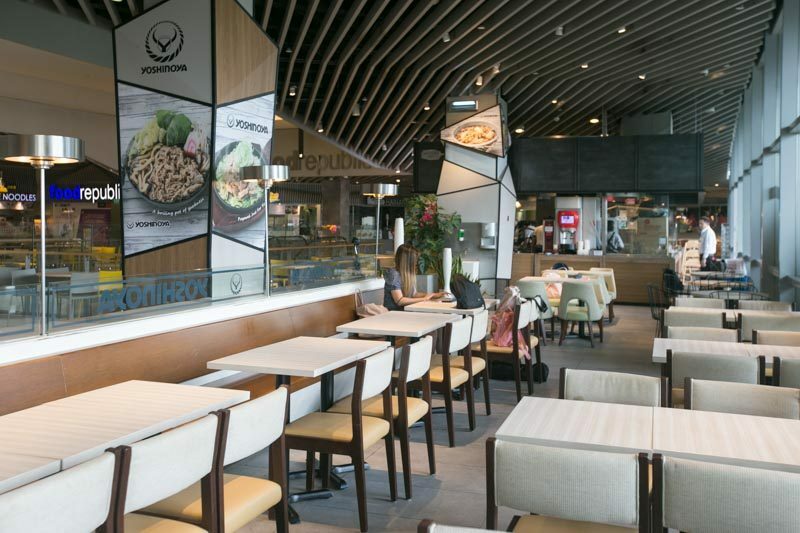 Because Yoshinoya Singapore is shifting to a casual dining concept, you won’t spot its iconic old school orange signage. Instead, keep a look out for its brightly lit signage coming up the escalator. Thanks to the floor-to-ceiling windows that lined one side of the outlet, bright light was streaming in when we dropped by in the morning. Ambience-wise, it’s definitely cosy, comfortable and clean. You can choose to sit along the long couch, take a round table in the corner, or even sit at the cosy four-seater with the velvety smooth chairs. The first thing that I spotted on Yoshinoya’s new menu was the Mt. Fuji-Yougan Yaki Hot Plates. 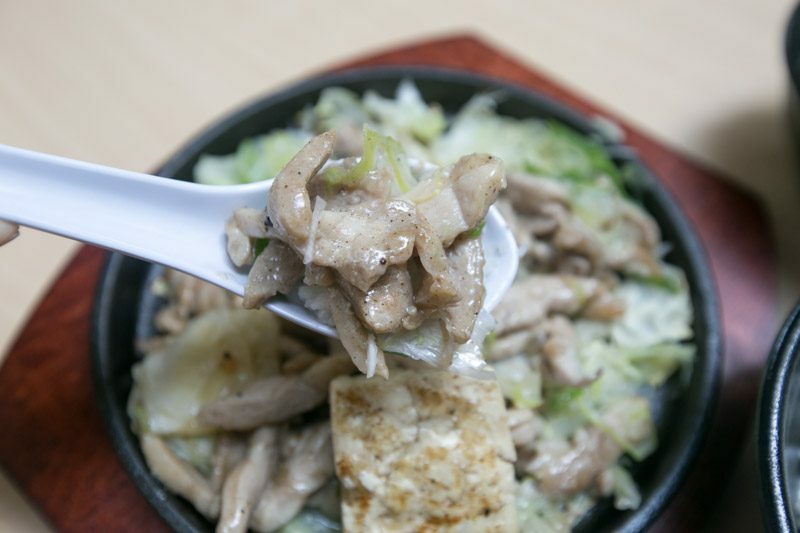 Did you know that Yoshinoya cooks its meat on lava stone slabs from Mount Fuji? Its lava rocks contain a rich variety of minerals such as Vanadium, which are said to impart a host of health benefits. The heated rocks also emit infrared rays which penetrate deep into the meat, gently bringing out its tenderness and flavour. Yoshinoya’s hot plate dishes come with either Chicken (S$6.90) or Beef (S$7.90), as well as Salt Sauce or Black Pepper Sauce. It also comes with a bowl of fluffy white Japanese rice and seaweed soup. We started with the Mt. 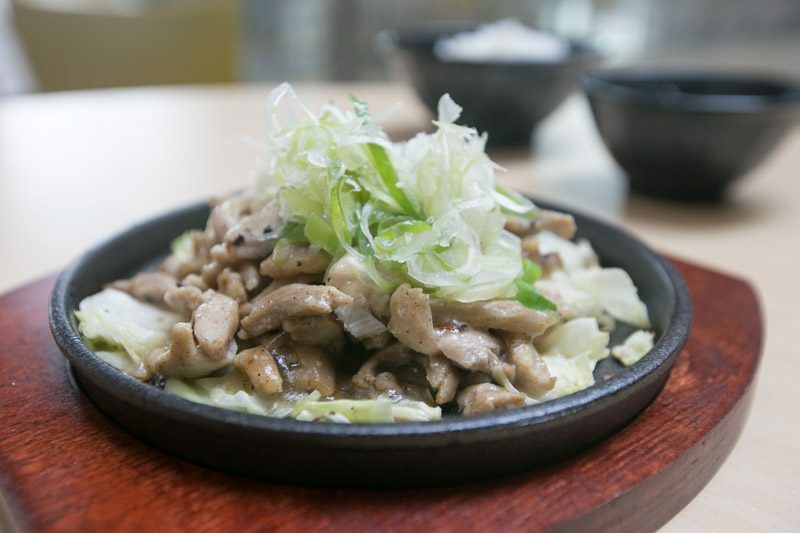 Fuji-Yougan Yaki Hot Plate – Chicken (Salt Sauce) (S$6.90). This dish was simple but indulgent. Marinated prior to being grilled, the chicken slices were silky-smooth and firm, yet super tender when I bit into it. The salt sauce was more sweet than savoury, with a strong natural sweetness from chicken stock, onions and mushrooms. It went really well with the sweet Japanese white rice, and I ended up mixing the rice directly onto the hot plate to soak up all the glorious gravy. I loved that the hot plate came with a mountain of fresh vegetables. While the gravy and chicken slices weren’t necessarily heavy, I enjoyed the refreshing crunch from the cool cabbage and it helped to cleanse my palate. Being served on a hot plate has its perks — for one, your dish will always be piping hot. I especially liked leaving my chicken slices on the sizzling hot plate for longer than required, so that I’d get beautifully charred and burnt bits at the end of my meal. Another variant of the Mt. 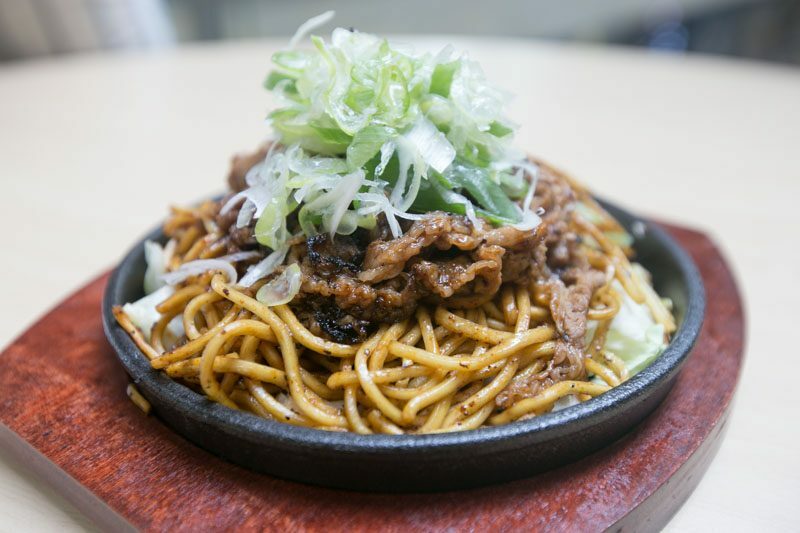 Fuji-Yougan Yaki series, Yoshinoya’s Yaki-Soba introduced springy yellow soba noodles on a scorching hot plate. Just like the other hot plate dishes, you could pick between Chicken (S$6.90) and Beef (S$7.90), and Salt Sauce or Black Pepper Sauce. We picked the Mt. 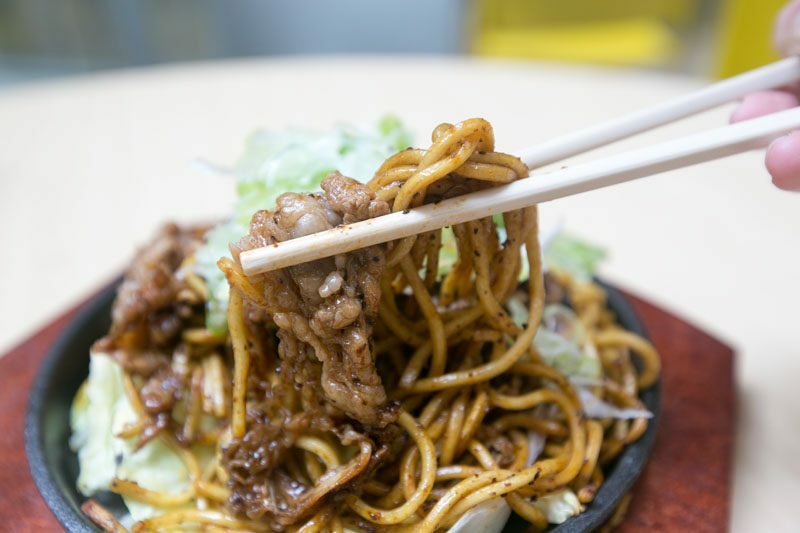 Fuji-Yougan Yaki–Soba – Beef (Black Pepper Sauce) (S$7.90). The aromatic black pepper spices hit me almost immediately as I slurped up the noodles, and for awhile the fiery heat overwhelmed me. Soon, the spices faded and I tasted a pleasant sweetness from the caramelised onions and a roasted nuttiness from the garlic took over. I relished in its tingling sharp aftertaste. While I wasn’t the biggest fan of the black pepper yaki-soba (however, my colleague, a huge fan of spicy food, loved it), the marinated beef won me over in a heartbeat. It was delightfully sweet and juicy, as if it had been soaking in a sweetened soy sauce marinade overnight. It even had charred bits from the grill, which I absolutely loved. No doubt the main star of the show, the Yaki Beef Pot (S$6.90) was actually almost identical to Yoshinoya’s signature beef bowl. The only difference was that it’s served in a sizzling bowl instead. Having Yoshinoya’s beef bowl in a scorching hot bowl made it extra satisfying. It’s just like having soup served to you piping hot; the flavours are more pronounced and it warms your entire tummy. This was definitely one of my favourite dishes! You can never go wrong with piping hot rice and savoury silky beef that melts in your mouth. I also liked it that the chopped Japanese leek and sautéed onions added sweetness to each bite, balancing out the flavourful tender beef slices. 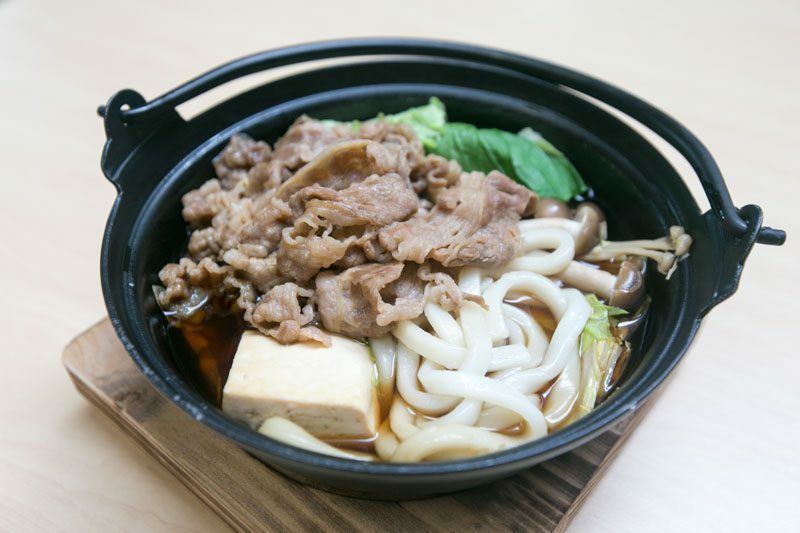 Served with thick udon noodles, fresh vegetables, tofu, mushrooms and thinly sliced beef, the Sukiyaki Hot Pot (S$10.90) came in a hot iron bowl and was also served with a bowl of Japanese rice. I loved it that Yoshinoya’s Sukiyaki Hot Pot’s portions were ready-to-eat and just nice for one person. The sukiyaki broth was full of umami flavours, just like traditional sukiyaki. It was sweet yet salty and I could taste additions of shoyu, mirin and sugar. The thick udon noodles soaked up the flavourful broth and my dining companions and I slurped it all up. The highlight was definitely the juicy and tender thinly-sliced beef. Complete your meal with one of the four set options, which range from top-ups like onsen eggs (Set A, S$1.50) or free-flow soft drinks (Set B, S$1.50). 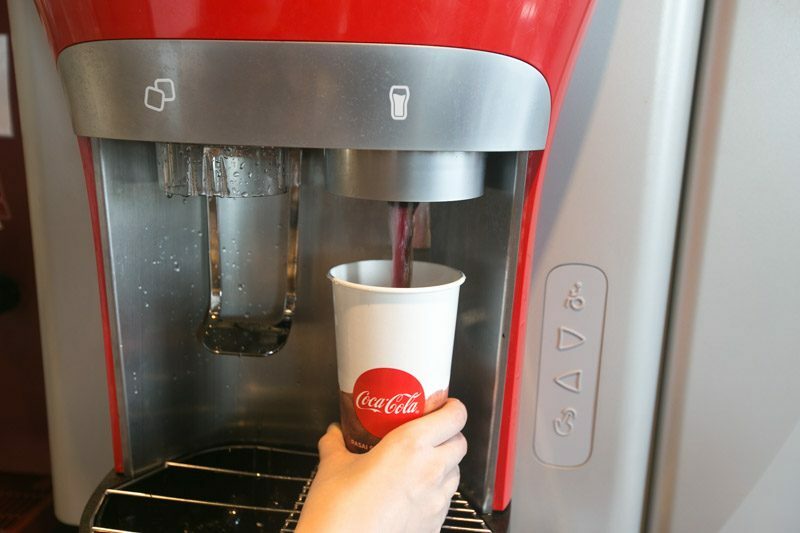 The Coca-Cola Freestyle 7000 machine was particularly interesting, and it lets you choose from over 55 beverages and soft drinks. The beverage of your choice can also be combined with fruit flavours, adding an extra twist to your favourite classic drink. You can also create your own exclusive drink by mixing and matching between the beverages, soft drinks and fruit flavours. 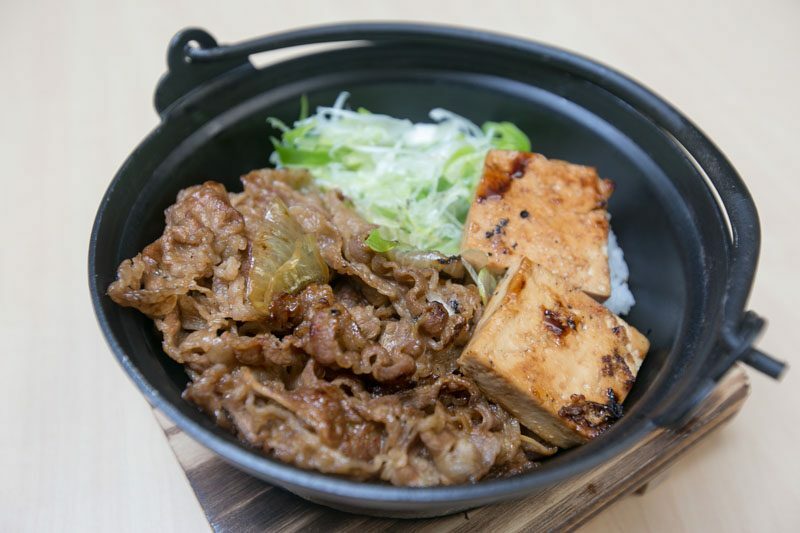 Drop by for a comforting bowl of hot sukiyaki on a rainy afternoon or a sizzling plate of melt-in-your-mouth beef. 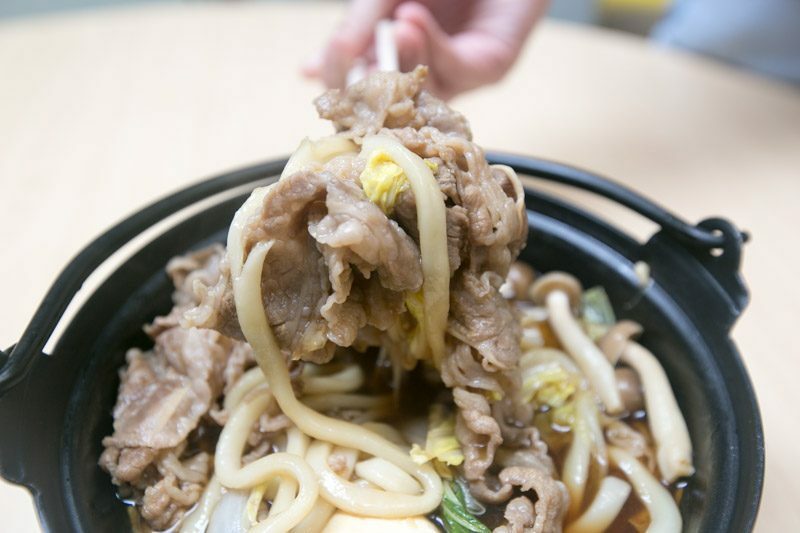 Yoshinoya’s new outlet promises a satisfying meal that doesn’t break the bank. 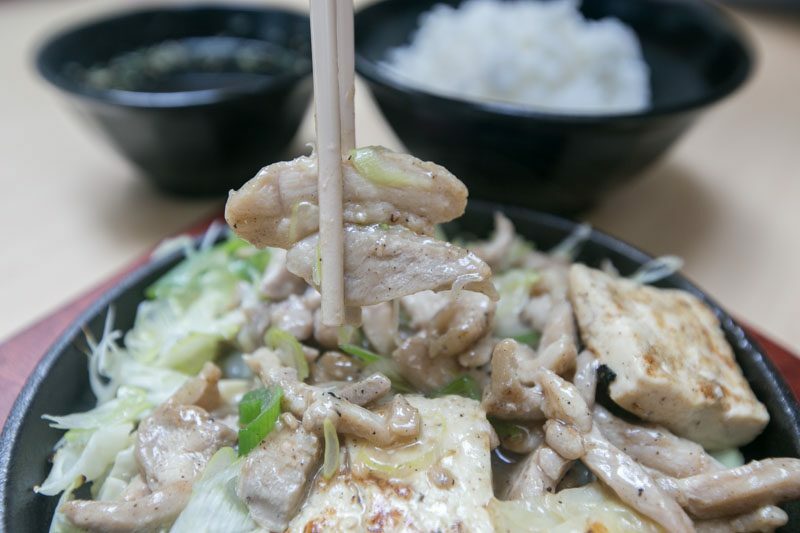 With its new menu, Yoshinoya continues to serve up affordable Japanese fare with high-quality and delicious meat. From now till 31 March 2019 only, purchase any Mt. Fuji-Yougan Yaki special and you’ll be able to drink as much Coca-Cola Freestyle 7000 as you want for just S$1 only. *This post is brought to you in partnership with Yoshinoya.